Only thing I am concerned is that I use Apple Music family subscription and wondered how it would perform on Note 8 especially with car Bluetooth streaming. Other things I will miss include; find my friend and Apple Map 3D render. There is no gear s4 yet. Samsung released 2 new devices a couple of weeks ago. The Gear fit 2 pro (which i am currently wearing) and the Gear sports (which is like the s3 however not as good and cheaper). The gear s3 is still the top of the line samsung gear watch currently. Oh wow, where did you go to purchase your Spigen cases? I'm also hoping that the Note 8 has official screen protectors from Samsung which i used last year for the Note 7 as well. Been using glass on my note 3 but i find that it loses sensitivity compared to the thin film protectors and found the gel one pretty good when I had the Note 7 last year. I got them direct from Spigen USA. Shipping for 2 cases was $13.25us. I tried to the find these 2 particular crystal cases on amazon or in nz but couldnt. So opted to get them from spigen direct. Ive never paid so much for cases before, but this phone is worth the investment! Well Harvey Norman's website says it's coming with a case inside it so i guess i'll use that and the official screen protectors if they stock it as well until more cases arrive in NZ. Thinking about getting a Note 8 and was looking to purchase from Noel Leeming for various reasons. I just found out that the Note 8 sold from Noel Leeming comes loaded with 2degrees software despite being unlocked. I've always purchased unlocked phones (originally from Canada) so that meant no carrier software on them. What's the extent of the 2degrees software on the Note 8? Is it just the 2degrees app? Can I uninstall it easily or do I need to root/flash the phone to clean it up? Do they (2degrees) put their logo up during boot? I'd prefer no carrier software at all so this kind of turns me off from getting it. Maybe should wait for the Pixel XL 2. While I can't speak for the Note 8, with the Note 3 all carriers (Spark, Vodafone, 2deg) have their logo and applications on them and no you can't uninstall the carrier apps - can only disable them. Thanks. Holding off ordering this. Just emailed JB Hi-Fi to see if their version comes loaded with any carrier software. I think I could put up with the 2degrees app, as I'm on 2degrese but I don't want any carrier logos on boot. I also don't really want to get into rooting/flashing to remove them. the note 3 didn't have carrier logos until the lollipop update) but IMHO you don't really notice the boot animation after a while. If it really bothers you, you could get an international rom which has no logo or carrier information on it (I think the closest one was aus international) but as you've said you don't want to do any software changes on your phone, may be best to look at other options too. Using Odin to change your rom is usually a piece of cake but I can't say for sure since I haven't tried it on a note 8 yet. it used to be a thing before but afaik they don't put carrier logo at startup anymore. Both my s8+ and Note 5 do NOT have vodafone logo (supplied by vodafone store) when starting up. My Vodafone App can be uninstalled completely. I also recommend you buying the phone from the respective telco that you are planning to use on. the software is customized to the network. Following unprecedented pre-order demand, Samsung NZ has announced that all pre-order customers purchasing the Galaxy Note8 will receive early shipment on their device. Pre-order shipments of the Galaxy Note8 will ship from Wednesday 20th of September, ensuring Note fans will receive their devices ahead of the pack. “Although a high level of hype and anticipation for the Galaxy Note8 was expected, we have been overwhelmed with the success this product is attracting before it has even landed in store. In the first five days, we have seen our pre-orders grow almost four times that of the previous Note, which is testament to the market is responding to our latest mobile innovation,” said Todd Selwyn, Head of IM Product for Samsung NZ. Equipped with a bigger Infinity Display that fits comfortably in one hand, the signature S Pen and a dual lens camera - the Samsung Galaxy Note8 is the next level Note for people who want to do bigger things. “New Zealanders tend to be early adopters of technology, which is why a premium, high spec and powerful device like the Note8 can thrive in this market. It’s an exciting moment for us to be able to deliver the best and most highly anticipated Galaxy Note we’ve ever created to the Kiwis who’ve waited patiently to upgrade,” Selwyn continued. Samsung pre-order customers will also receive a bonus 256GB SD memory card, to take full advantage of the Note8’s expandable memory. I wonder if that's just from Samsung directly? Ropata: I wonder if that's just from Samsung directly? The word it like it is. I know it used to be a case that Spark was the only carrier with the logo when booting up. I had a 2degrees version of the galaxy s6 which had no 2degrees logo at start up. Not sure if this may have changed in the last 12-18 months now though. My Galaxy S6 experience was not fantastic (apart from its great camera) - mainly from very slow OS updates. I hear online that in US at the least Samsung provided monthly security updates, and surprisingly even Note 5 has received Nougat. 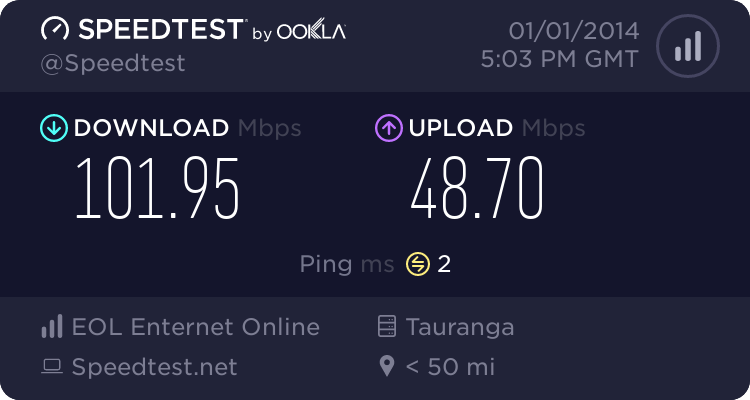 Anyone with experience of S7 or S8 in NZ with local updates? Well it shows that all 3 NZ telcos released up to version 7 (so Nougat) of android for the S6. Although the timestamp says it was released in July this year so it does take quite a while before they do release any updates. Also I'm still getting security updates on my note 3 so unsure why you're not getting anything on your S6 though.